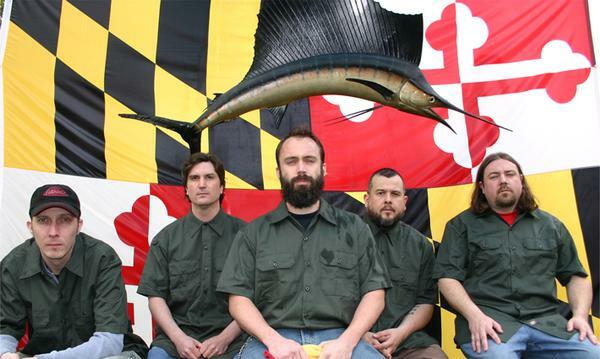 Of the to-date nine albums in the discography of Maryland groove rockers Clutch, the three full-lengths they released on DRT Records represents in many ways their most interesting and expansive stretch of material. From 2004-2007, Clutch released three highly-varied albums and began the process of maturing from their rougher-hewn, heavier early days into the blues rock powerhouse they’ve since become. This period of the four-piece’s development is captured on three distinct CD reissues from their own Weathermaker Music label, boasting double-disc, expanded-digipak artwork editions of Blast Tyrant (2004), Robot Hive/Exodus (2005) and From Beale Street to Oblivion (2007), along with a companion disc of bonus material from each. 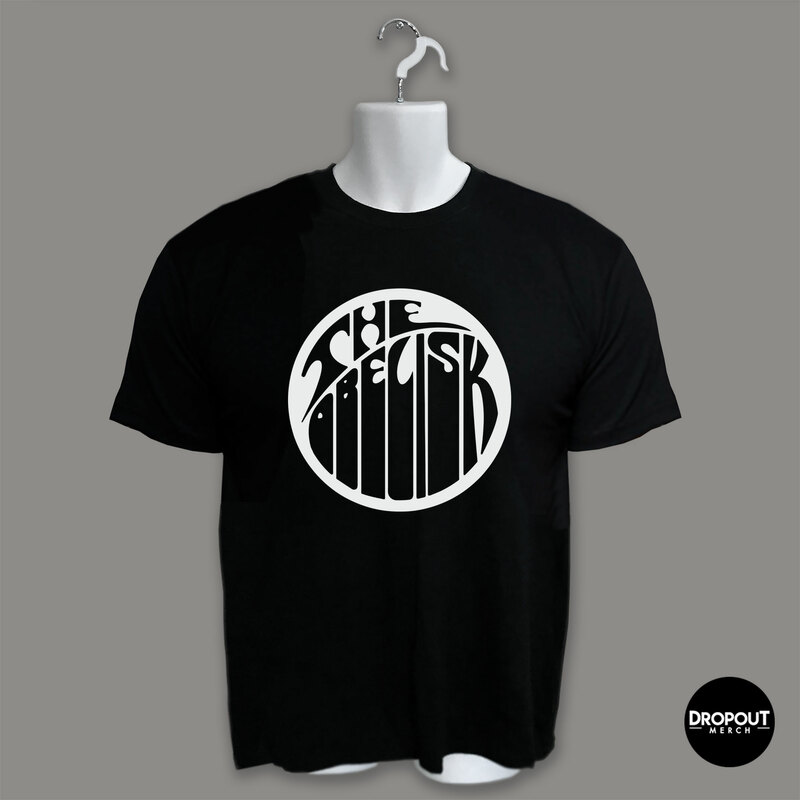 The band’s legal disagreements with DRT – the label headed by Gentle Giant multi-instrumentalist Derek Schulman – resulting in their reclamation of the rights to the albums here find their resolution. One recalls that From Beale Street to Oblivion originally came in a jewel case with the artwork so misplaced that Clutch elected to sell the Canadian version on tour. Well, with the Weathermaker versions of these records, that won’t be an issue. From the art (gorgeous for each) to the releases themselves to the fan-gem bonus discs, these are about as complete documents as longtime followers of the band could ever hope for. It’s worth noting as well in terms of artwork that Clutch’s most recent offering, 2009’s Strange Cousins From the West, was also given special treatment as an LP with some of the most appealing art I’ve ever seen this side of one of those glass-case $250 Boris limited edition boxes, and that cut-slipcase ethic extends to the digipaks here, continuity of aesthetic being an obvious focus for both the band – Neil Fallon (vocals), Tim Sult (guitar), Dan Maines (bass) and Jean-Paul Gaster (drums) – and the team behind Weathermaker Music, most notably label manager and longtime devotee Jon Nardachone. Blast Tyrant comes with a silver embossed ink depiction of the cover’s curious figure and is perhaps given the most reverence of the three reissues, if only for its including the Basket of Eggs bonus disc, which boasts the January 2011 acoustic sessions in which Clutch reworked older material – “Tight Like That,” an unplugged live version of “Drink to the Dead” from 2001’s Pure Rock Fury and Blast Tyrant’s own “The Regulator” – and set it alongside new cuts “Box Car Shorty’s Confession” and “Basket of Eggs” and a host of pre-Blast Tyrant demos that includes different lyrics for “Cypress Grove” and the unreleased songs “Walpole Man” (from which the back half of “Army of Bono” comes) and “Steve Doocy,” as well as rawer working versions of “Promoter” and “La Curandera” from the album proper. This alone is a boon for aficionados and worshipers, but the Chon Hernandez illustrations in the 20-page lyric booklet (dubbed “Blast Tyrant’s Atlas of the Invisible World Including Illustrations of Strange Beasts and Phantoms”) are no less a selling point. With Blast Tyrant alone, Clutch prove that if you want something done right, you’ve got to do it yourself. 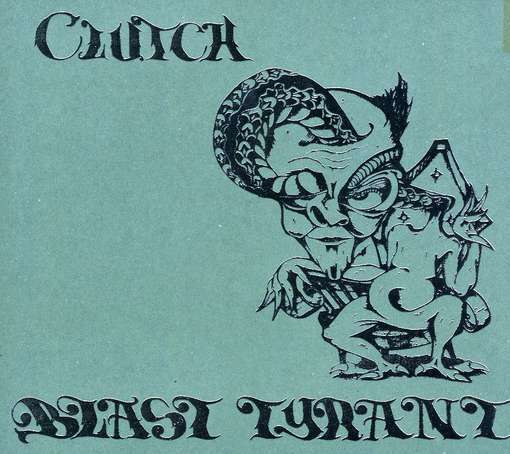 As to the record itself, Blast Tyrant was in many ways a culmination and a new beginning for Clutch. In 2004, it was their first album since leaving Atlantic Records, the first album they recorded digitally – Neil Fallon is said to have laid down his vocal tracks in Jean-Paul Gaster’s living room, and the liner notes confirm it – and in many ways, the first time the balance between heft and clarity was perfected in terms of their production. Where 2001’s Pure Rock Fury was rougher-sounding and 1998’s Elephant Riders overly smoothed out, Blast Tyrant (produced by Machine) was the proverbial third bowl of porridge that was just right. Aside from some of their most memorable songs and live-set staples like “The Mob Goes Wild,” “Cypress Grove,” “Promoter (of Earthbound Causes)” and “Profits of Doom,” Blast Tyrant showed Clutch’s burgeoning sonic breadth with the quiet, contemplatively morose “The Regulator” and “Ghost” and their prowess for raw boogie on “Subtle Hustle,” which even as basically a filler track still came across powerful and irresistibly fun. Their propensity for jamming, since much developed on tours and in their The Bakerton Group instrumental offshoot project, showed itself in the form of the short “Weathermaker” interlude and the album-closing afterthought “WYSIWYG,” and the rush of opener “Mercury” and the gang-chanted chorus of “Spleen Merchant” almost go without saying among Clutch fans. Obviously the band themselves think highly of Blast Tyrant as well, otherwise the acoustic cuts on Basket of Eggs would probably have just been included on one of the other three albums and the demos paired with live tracks or something else. As the most recent output on any of these albums – Robot Hive/Exodus includes a DVD of the “Burning Beard” video as well as Clutch’s complete set from the Starland Ballroom date of the 2005 Sounds of the Underground tour in Sayreville, New Jersey and From Beale Street to Oblivion culls live tracks from a BBC session and some material that previously showed up on the limited Live at the Hi-Fi Bar release and the video for the hit single “Electric Worry” – Basket of Eggs could have easily been a separate EP release, and it’s the most definitive showing here of where Clutch are today, creatively speaking. “Box Car Shorty’s Confession” is a Cousin Joe blues cover, and “Basket of Eggs” from 1999’s Jam Room follows stylistic suit, and it’s in the reinterpretations of older material that Clutch really shows their blues-laden drive. “Tight Like That” alone is worth the cost of the entire release for its slide-guitar and rearranged vocals (the track was initially released on 1995 landmark self-titled LP), but “Drink to the Dead,” which was recorded in 2001 – a full decade earlier – is somewhat more awkward and “The Regulator” seems like it’s trying to insert blues lines where they don’t fit. Sult’s guitar, Gaster’s drumming and Maines’ bass are masterful as ever (the latter standing out particularly with the added room left by the absence of guitar distortion), but Fallon’s vocals are unsure in their placement in the midsection, and I’m left wondering if Clutch wouldn’t have been better off maintaining the atmosphere of the original song and simply stripping down the arrangement – though I’m also willing to allow I’m hardly impartial in this case, being a tremendous admirer of the regular album version. Sandwiched between the upbeat 12-bar “Box Car Shorty’s Confession” and the start-stop “Basket of Eggs” stands out some, but is no less awkward than the “Cattle Car” demo version of “Cypress Grove” in that it’s just not what someone familiar with Blast Tyrant would be used to hearing. 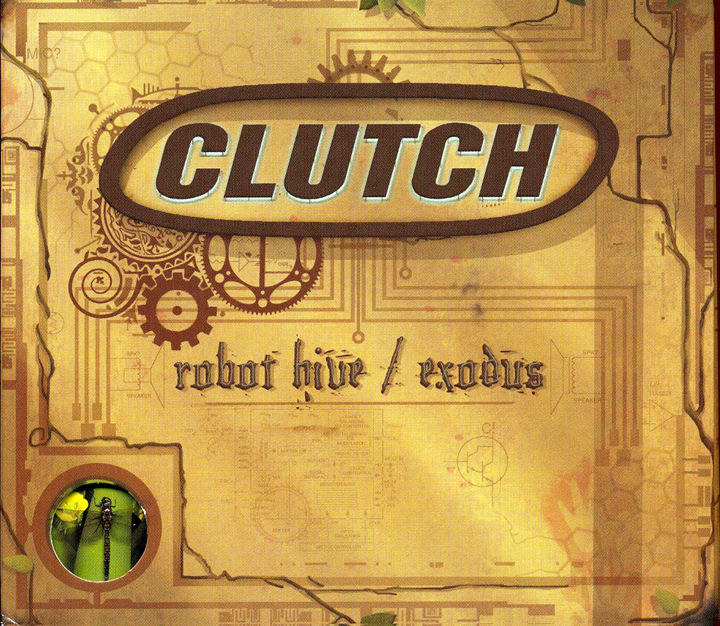 As much as Blast Tyrant signaled the beginning of a new era for Clutch, it was 2005’s stellar Robot Hive/Exodus release that confirmed it. Returning to Larry “Uncle Punchy” Packer to record as they had Pure Rock Fury, Clutch triumphed in the songwriting of “The Incomparable Mr. Flannery,” “Burning Beard,” “Mice and Gods,” the Jersey ode “Pulaski Skyway,” “10001110101” and the album’s blues-based later movement of “Gravel Road,” an interpretation of lyrics by Mississippi Fred MacDowell with original music by Clutch, and the Howlin’ Wolf cover, “Who’s Been Talking?” Listening back to the album now, it’s easy to see and hear how much of a complement it was to Blast Tyrant stylistically, while also developing its ideas further. The most notable difference between the two albums was the advent of organist Mick Schauer, whose added classic rock flavor was essential to the success of much of Robot Hive/Exodus’ sci-fi-meets-the-preacherman atmosphere. His otherworldly Hammond stood “10001110101” out among Clutch’s back catalog, and the flourishes added to “Never be Moved” helped make that song as pivotal to the album as it became, filling out Sult’s start-stop riffing while also adding to and underscoring the melody in Fallon’s characteristic lyrical ranting. Though Schauer was listed as a full-fledged band member at the time and did numerous tours with Clutch, he’s separated from the main lineup of Fallon, Sult, Maines and Gaster here, which could just as easily be a legal thing in terms of royalties as an indication of some personal falling out between him and the band that led to his departure following From Beale Street to Oblivion. I don’t know and won’t speculate, since what’s most important of all are the performances on this album and its follow-up, both of which were excellent and – perhaps most impressive of all — seamlessly integrated with Clutch’s already long-established songwriting, as shown on the mostly-instrumental “Small Upsetters,” which could just as easily be taken as a jammy companion piece to “Weathermaker” from Blast Tyrant if it wasn’t for Schauer. Likewise, “Tripping the Alarm” – so named perhaps for Sult’s opening guitar line – and the airy, expansive verses of “Land of Pleasant Living” felt lush where they might have otherwise been lacking. Since in many ways these reissues tell the story of Clutch’s love affair with the blues, “Gravel Road” and “Who’s Been Talking?” feel especially important in light of the work the band has done to incorporate that influence since – on cuts like “Electric Worry” from From Beale Street to Oblivion, right on through “Struck Down” and “Let a Poor Man Be” from Strange Cousins From the West. These two songs represent the first time Clutch unabashedly embraced the genre, and as such might be the two most pivotal cuts on any of these three records (new material on Basket of Eggs notwithstanding), and seeing the band close with “Gravel Road” on the included Sounds of the Underground DVD, it’s easy to remember how potent and different they were at the time, now more than half a decade ago. Having been present at that particular show, it’s something special for me to watch, but for someone else, it’s probably not much different than a lot of pro-shot multi-camera filmed concerts. Some of the material was included on a festival compilation DVD, but to have the whole set is a welcome inclusion for longtime followers or anyone buying the disc on, say, the recommendation of a review, who’s never seen the band live and wants to know what they might have missed during the Schauer era, which found its apex in From Beale Street to Oblivion. The third and final of the DRT albums, 2007’s From Beale Street to Oblivion had the near-impossible task of following Blast Tyrant and Robot Hive/Exodus. Clutch set a higher standard for their output than I think even they knew, and maybe in an effort to step back from some of the pressure or at least push their progress to where they wanted it to be at the time, they recorded in California with “Evil” Joe Barresi (Kyuss, Tool, the Melvins, etc.). The result was that Beale Street cast off a lot of the tonal heft of Robot Hive/Exodus and Blast Tyrant in favor of a more compressed sound with Fallon deeper in the mix. Early cuts like “You Can’t Stop Progress” and “Power Player” still became live favorites, as did “Child of the City,” but on the record itself, Sult’s guitar on “The Devil and Me” sounded thin in the chorus where it should have stood out with Fallon delivering the album’s titular line, and the interplay between Schauer and Maines and Gaster in the rhythm section was muddled where on Robot Hive/Exodus it had been so crisp and vibrant. It’s a somewhat darker album visually in terms of the artwork and thematically – the semi-political lyrical stance of “The Mob Goes Wild” from Blast Tyrant finding more fervent execution in album closer “Mr. Shiny Cadillacness” – and as the album was released in 2007, it would have been a document of America’s pre-Obama campaign hopelessness whether it wanted to be or not. Nonetheless, the vigorous “Bang, bang, bang, bang/Vamanos, vamanos!” chorus of “Electric Worry” – which also featured Eric Oblander of Five Horse Johnson on harmonica – would be restrained by nothing, up to and including flat production, and still earned Clutch some of their best commercial exposure to date and established their songwriting prowess in the minds of a whole new generation of followers. Quality cuts like “Black Umbrella” (shades of “Cypress Grove” lyrically), “Rapture of Riddley Walker” and “One Eye Dollar,” the last of which previously appeared on 1999’s Jam Room, showed the band’s songwriting was as effective as ever, but surface cracks were beginning to show, and Schauer, who by then was accepted as a given by the band’s expanding fanbase, was much less present in “When Vegans Attack” than even “White’s Ferry,” earlier in the album. Part of that could again be chalked up to the mix, but there’s no question Schauer was more following Sult’s riffs than playing off them, where on Robot Hive/Exodus, the situation had been reversed. 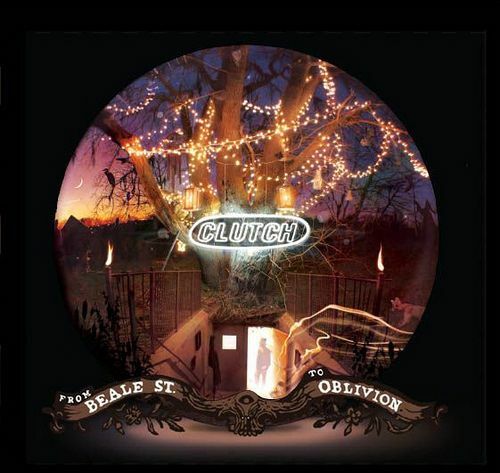 Given that, it’s something of a two-sided relationship with From Beale Street to Oblivion, which is all the more reason to be glad Clutch went with live tracks for the bonus material, as both the BBC session and the Hi-Fi Bar recordings showcase the chemistry of the band’s lineup in that era. Their take on Cream’s “Politician” proves every bit as appropriate a classic rock cover as when they did Jethro Tull’s “Cross-Eyed Mary” for Small Stone Records’ first Sucking the ‘70s compilation, and “Mr. 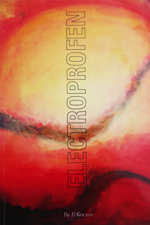 Shiny Cadillacness,” “Electric Worry” and “One Eye Dollar” shirk off some of the restrained feel of the studio versions for a looser, jammy groove, “Mr. Shiny Cadillacness” especially propelled by Maines’ bass runs. Rounding out that set with “Cypress Grove,” they remind what Schauer brought to the tracks predating his inclusion in the band and lead well into the more proper (i.e., not radio/studio) live recordings of “The Devil and Me,” “Child of the City” “You Gonna Wreck My Life” and “White’s Ferry” from Australia, which themselves close out the bonus disc and the reissue series in energetic fashion. Both Schauer and Oblander were with Clutch for that tour, and the latter even takes lead vocal duties on Howlin’ Wolf’s “You Gonna Wreck My Life,” highlighting how far Clutch had moved in 2007 from the original blueprint of the band (Fallon, meanwhile was on guitar with Sult as he often is in live situations). Live at the Hi-Fi Bar was a short-run release and limited as well in terms of distribution, so there’s not really much redundant about getting these songs out, and “White’s Ferry” makes a fitting finale to From Beale Street to Oblivion’s much-justified second look. Listening to it, you can almost see the closing credits for this era of the band scrolling by. Those who know Clutch and love their music will revel in the bonus inclusions here, and naysayers will continue to say nay independent of this or any other review. More importantly, Clutch will move on. Strange Cousins From the West saw them return to the “core four” lineup and refocus their attentions on rocking material, but there’s no turning back stylistically, and the maturity that came to fruition on these three albums couldn’t be undone even if the band wanted to – and I don’t think they do. With the probably three years that will have passed since Strange Cousins by the time they get their next record out, it will be fascinating as always to hear what sonic shifts Clutch will have undergone. Each of their albums reads like a document charting the band’s growth, like a height chart marked in permanent marker on your mother’s kitchen wall, and looking back on Blast Tyrant, Robot Hive/Exodus and From Beale Street to Oblivion is an excellent way to follow that progression. Whether you’re a longtime follower of the band who eagerly snatched these albums up when they first came out or someone who missed them and now find them out of print or harder to find, this is Clutch at their most essential yet, and the foundation of any worthy collection. 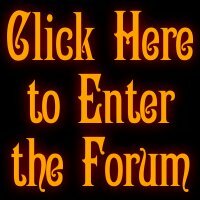 This entry was posted	on Monday, June 6th, 2011 at 2:51 pm	and is filed under Reviews. You can follow any responses to this entry through the RSS 2.0 feed. You can leave a response, or trackback from your own site. 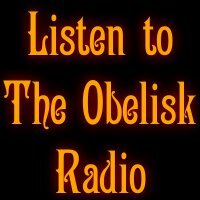 nice writeup. always good to see the best band in the world get their due.